Iowa Gov. Kim Reynolds has outlined priorities for combating opioid abuse in the state, but she stopped short of offering specifics on future legislation or whether there will be additional state money available. Reynolds told reporters Thursday she will prioritize existing initiatives in Iowa that aim to prevent and treat opioid abuse, including increasing participation in a prescription monitoring program and expanding education on decreasing opioid prescribing. 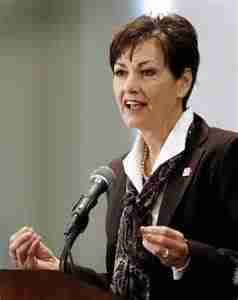 A Reynolds spokeswoman says the governor is still formulating her 2018 legislative package. Reynolds’ comments come on the same day that President Donald Trump declared the opioid crisis a national public health emergency. Trump’s declaration includes no new money, and a state health official says it’s not immediately clear how it will impact Iowa.